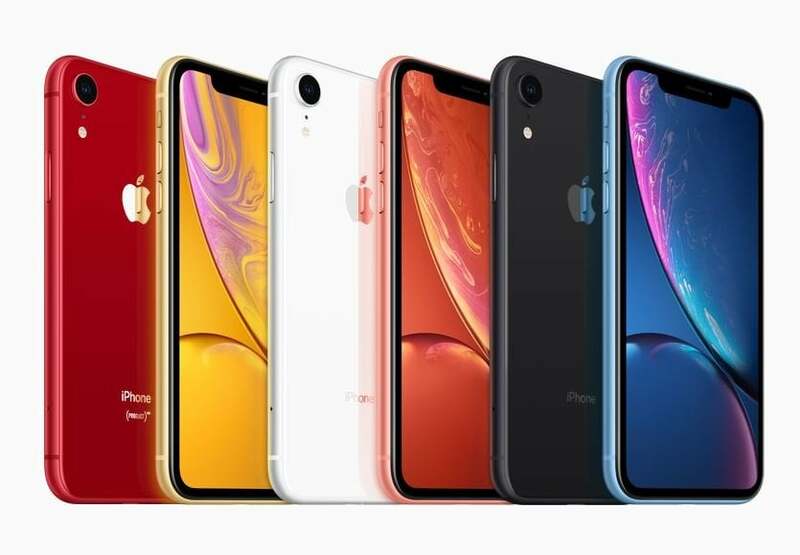 Apple’s iPhone XR may not have generated the same level of buzz as its more expensive siblings, the iPhone XS and iPhone XS Max, but considering that it has more or less the same features as the other two and costs significantly less, it appears a pretty solid device. The iPhone XR benchmark scores suggest the same thing. Apple’s iPhone XR costs about $250 less than the iPhone XS models, but it is powered by the same A12 Bionic processor. Thus, it’s no surprise that like the more expensive models, the iPhone XR is also quick and faster than the fastest Android phone. Additionally, the iPhone XR costs far less than premium Android flagships. In fact, according to the iPhone XR benchmark scores, it is 25% faster than the Galaxy Note 9, Samsung’s most powerful phablet ever. The Note 9 starts at $1,000, while the equally-powerful Galaxy S9+ starts at $840. As far as other premium Android phones, the Pixel 3 starts at $800, while the XL version costs $900. The LG V40 ThinQ starts at $950. Overall, it can be said that if you want a premium Android handset with all the latest features, you will have to shell out about $1,000. However, with the iPhone XR, you get more or less the same features for $250 less. Moreover, it’s the fastest of them all, so it seems to be worth every penny compared to relatively slower Android flagships. The Samsung Galaxy Note 9 scored 8,765 and 2,442 in Geekbench’s four multi-core and single-core tests, respectively. The Galaxy S9 Plus scored 8,661 and 3,371 for multi-core and single-core, respectively, while the smaller S9 received scores of 8,518 and 3,273. Although Samsung’s S9 line is closer to the iPhone XR in terms of pricing, it is nowhere near when it comes to speed. Apple’s iPhone XR benchmark scores of 10,980 in multiple cores and a 4,795 in the single-core test are way ahead of these Android phones. In the single-core tests, the iPhone XR crushes the Android phones, scoring more than 1,000 points or about 45% higher than the closest Android phone. Samsung may be Apple’s biggest rival, but it doesn’t have the fastest Android model. The OnePlus 6 scored 8,882 in the multi-core test. Although the score is nowhere near the iPhone XR benchmark scores, the fact that the OnePlus 6 costs just $529 make up for the gap in performance. Compared to the other two new iPhones, the results are not that surprising. As can be expected, the iPhone XR is slower than its more expensive siblings, but only marginally. The iPhone XS scored 11,222 in the multi-core test and 4,795 on the single-core test, while the biggest iPhone bagged scores of 11,195 and 4,796, respectively. Geekbench is among the best benchmark tests for measuring smartphone performance, but it’s not the only one. In the AnTuTu benchmark test, the iPhone XR scores more than 363,500. Meanwhile the highest-rated Android phone failed to break the 300,000 level. When announcing the new iPhones in September, Apple spent a good amount of time on talking about how fast and powerful they are. Apple also talked about the A12 Bionic chipset — a 64-bit hexa-core chip running at 2.49 GHz. — and its capabilities, touting it as the first 7-nanometer chipset to be used in a commercially-available smartphone. Android smartphones are still using 10-nanometer chips. Although power is not the only desirable feature in a phone, it is just as important as battery life. Even in battery life, there are tests that prove the iPhone XR is better than most Android phones. In a Tom’s Guide Battery Test, the iPhone XR performed exceptionally well, even better than the iPhone XS and iPhone XS Max. The test involves continuous web surfing over 4G LTE on 150 nits of screen brightness on T-Mobile’s network. The iPhone XR lasted 11 hours and 26 minutes, the same as the Galaxy Note 9 with a 4,000 mAh battery. The iPhone XS endured for 9 hours and 41 minutes, while the iPhone XS Max gave 10 hours and 38 minutes of battery life. Although the iPhone XR is better than the other two iPhones in terms of battery, it’s not the best overall. The Huawei P20 Pro with its 4,000 mAh battery lasted 14 hours and 13 minutes in the same test.